Of course, I didn’t have to go back to find all those files – most of what The Preeclampsia Registry asks me to remember are indelibly etched-in-my-memory details. (Or alternatively, I could have signed a medical release form to have Registry staff request my records; in which case it would be pretty cool having those records easily accessible to me moving forward.) But it was over 15 years ago and I did want to be accurate. After all, this data contributes directly to research that I believe will matter, not to my future childbearing (so done! ), but perhaps to my sons and their wives. And certainly to thousands of other women who should have the ability to bring healthy babies into this world, not marred by traumatic or tragic outcomes. Thankfully, going through a medical crisis does cause you to want EVERY detail documented and accounted for. So at least for the pregnancies, it was all there…lab results, doctors’ and nurses notes, reports from one doctor to another summarizing each event. I spent the better part of an evening taking a trip down memory lane. A road marred with ruts and pot holes as I recalled mistakes made by health systems, providers and just my crap luck that frustrated me all over again. Why does one notation indicate I lost 1500 cc’s of blood, another estimates 2000? Why did the first hospital refuse to diagnose preeclampsia despite signs and symptoms that were as clear as a neon sign on a deserted road? But that lane also included flowers blooming by the roadside, as I recalled specific nurses, doctors and even a doula who brought sanity and humanity to a crazy, painful time in my life. A few faith-affirming miracles comforted my soul and changed lives of those around us. I don’t believe I “own” my experiences and the knowledge we gained. I gave up that personal seclusion a long time ago when I pledged to make my daughter’s life have meaning; and to give the blessings of my two sons back to the world to make it better for others. 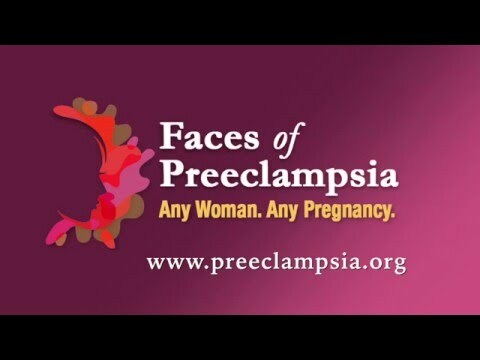 Sharing my “data” with The Preeclampsia Registry means sharing my stories to help others. I’m thrilled and a little humbled to know that scientists around the world are seeking my data to shine a light into the darkness and that with the thousands of other equally meaningful stories, we will make a difference!